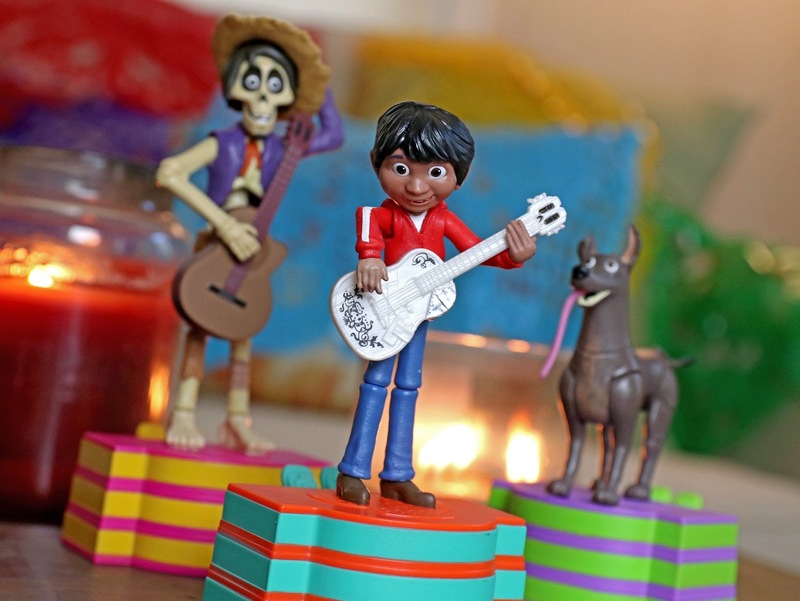 It's finally time to review some of the newly released Coco toys from Mattel! I am so excited about this lineup and thrilled to be one of the first to give you a detailed look at some of the many amazing new products currently out there. 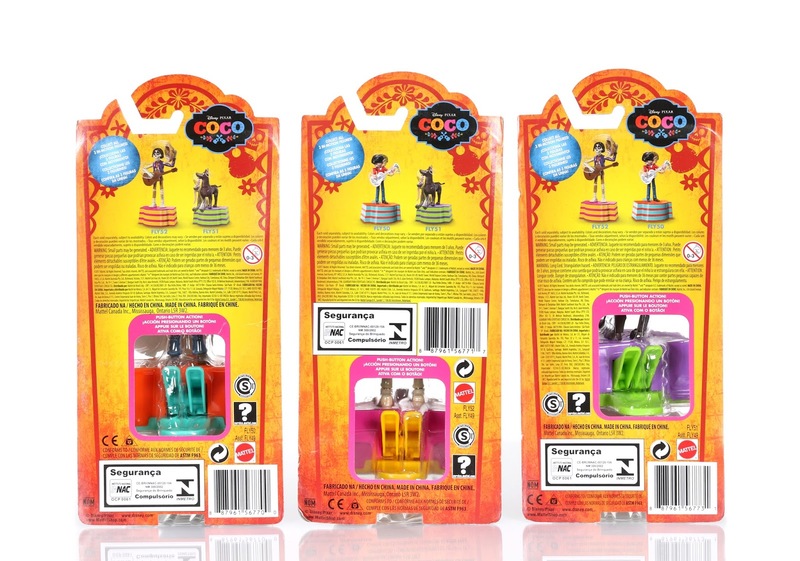 To start things off, I'm taking a look at this trio of Coco 3-in-1 motion figures! 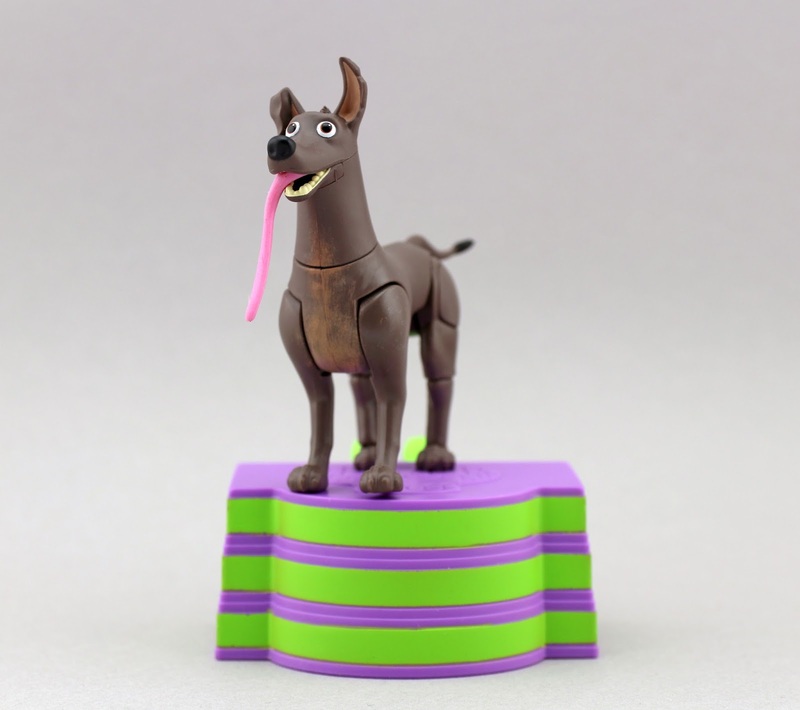 I absolutely love these—one of the reasons being that they're based on the classic and timeless collapsing push puppet toy. We've all played with those in our life at one time or another right? Traditionally they're made of wood, but these are essentially an upgraded modern take on the concept. 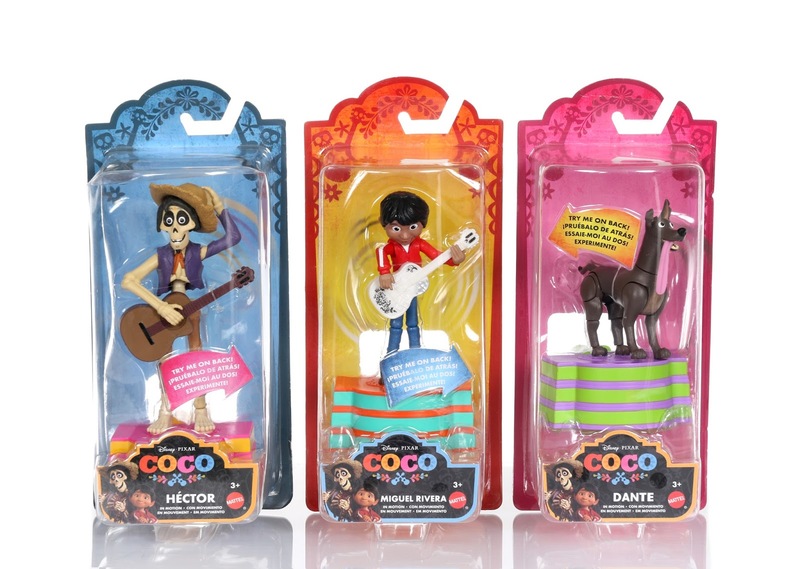 I really enjoy simple, old fashion type toys; so with that and the overall awesome look of these figures, I considered them a must have in the realm of Coco merch. 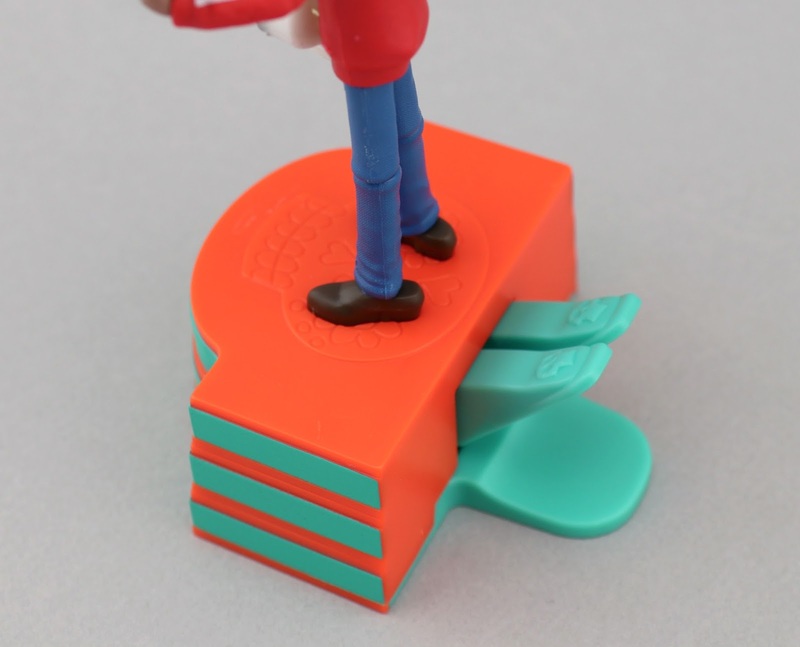 Their colorful bases look fantastic as well and really give these toys a great display quality to them. Each motion figure retails for $7.99 (or at least that's the price at Toys R Us where I purchased these). Anyway, speaking of the motion, let's dive into how each figure moves! For Hector, push down on the right lever and he will take off his hat and put it back on. Push down on the left lever and he still strum his guitar. Press down both levers at the same time and Hector will collapse in all sorts of funny ways! Miguel's actions are very similar to Hector's. Push down on the right lever and Miguel tips his guitar. Push down on the left lever and he tilts his head and strums the guitar. Push down both levers at the same time to, you guessed it, make him collapse! 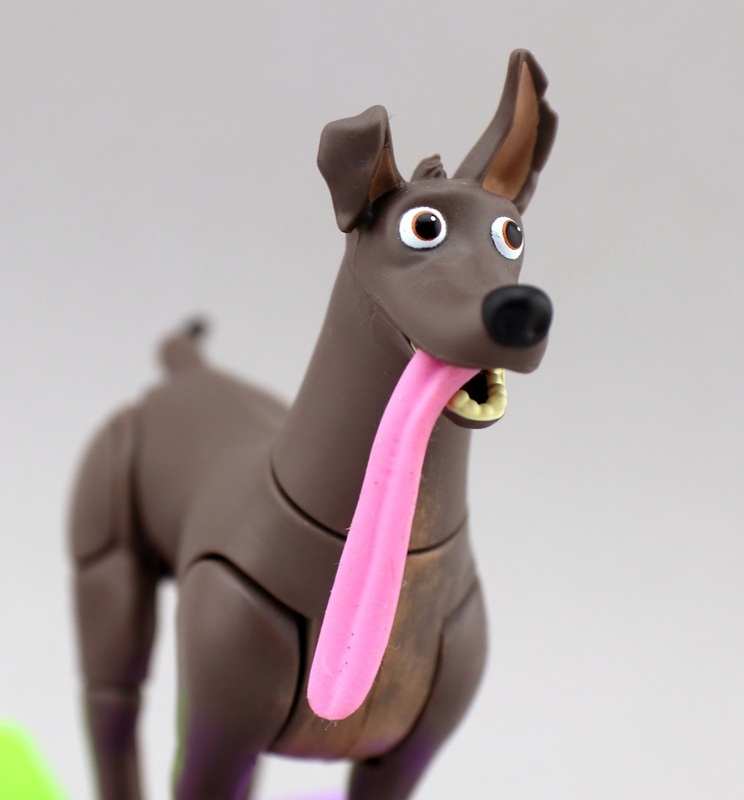 For Dante, push down on the right lever and he tilts his head from side to side (and I have to note, the way his rubber tongue shakes is hilariously goofy looking). Pushing down on the left lever makes him lurch forward. Make Dante collapse in different ways by pushing both levers down at the same time! 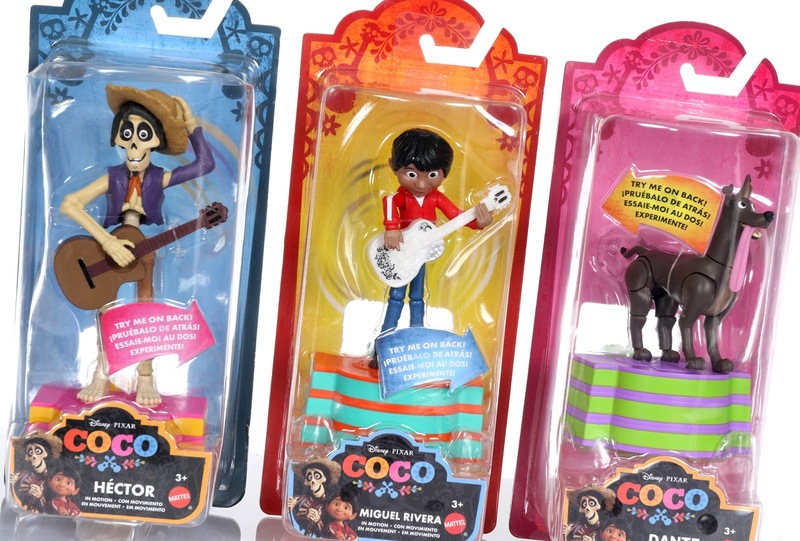 These are tons of fun and I can't recommend them enough to Pixar fans anticipating the release of Coco in theaters. 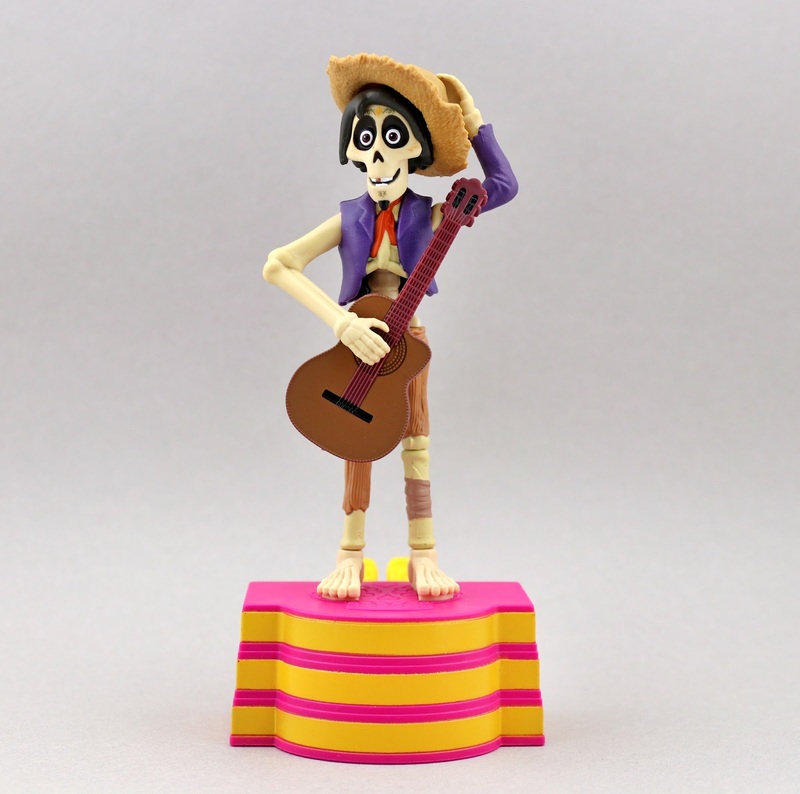 And I have to give a shout-out to Mattel and their entire line of Coco toys released thus far...they've done an amazing job capturing these characters in all sorts of fun and different ways! The packaging for everything is so well done too (again, love all the vibrant colors). Look out for a video up soon of these in action! I'll update this post once it's uploaded to my YouTube channel. UPDATE: Video is now posted below. Please like and subscribe! What are your thoughts on these motion figures? 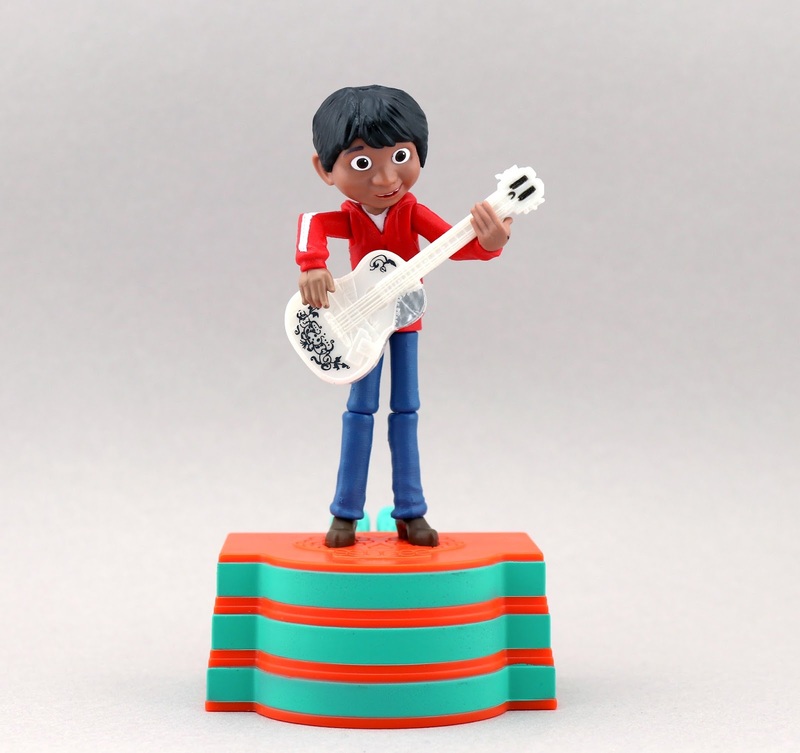 What Coco toys have you picked up/plan to so far? I'm excited to share with you everything else I purchased, so stay tuned right here. If you like these, you'll like what's to come!